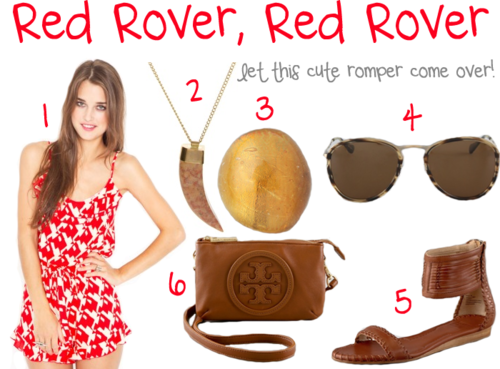 Why do I love rompers so much? For one thing, it’s a one-and-done kinda deal. No trying on tons of tops and bottoms. If you find a cute romper, you just have to buy it. This fun vivid one from Nasty Gal is our new fave – pair it with tan accessories to bring the look back to earth.